That's number one. 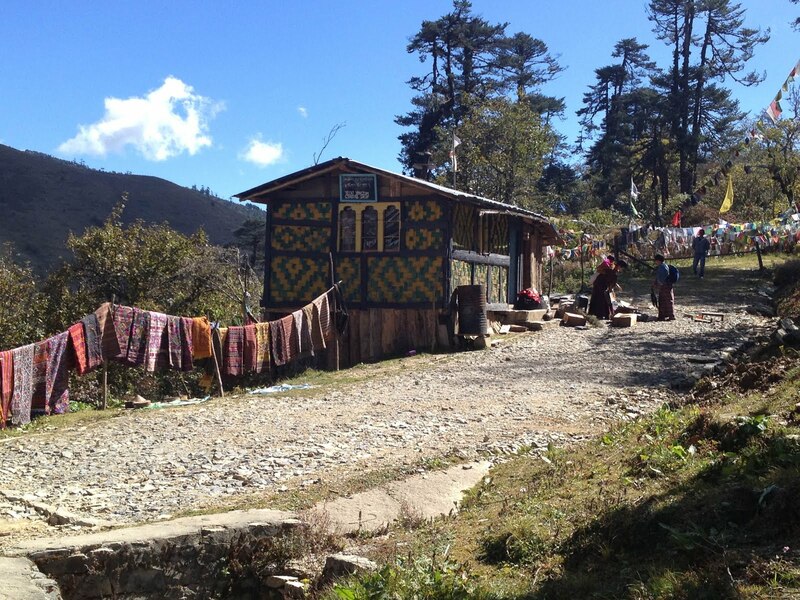 Bhutan is so small, when you go from one dzongkhag to another, there's a big chance you might meet someone you know. 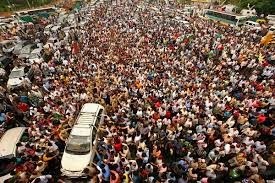 In India, the probability is even higher... but you probably won't see him because of the huge crowds. I'm exaggerating, naturally, but that's the idea. Look at the map and spot India. Easy, isn't it? Now where's Bhutan? It's so small, that the country's name doesn't fit inside the area, have you noticed? That proves my point. 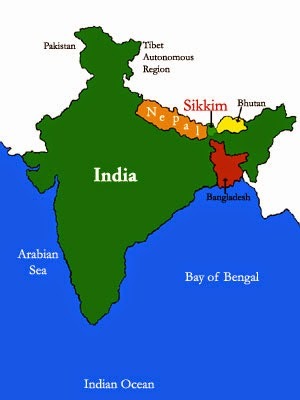 For facts, India is about 60 times as big as Bhutan. 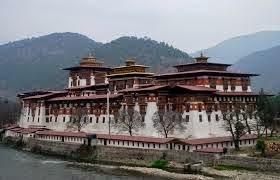 When you walk in Bhutan, the most common noise is usually dogs barking, birds chirping and so on. (Though I admit, motor is also becoming a noisy nuisance nowadays). In India, in some places, you have to shout to someone in talking distance - in others, you simply have no chance. Usually in crowds the noise is unbearable unless there's someone important speaking in front, and even then there'll be some noises. That's part of the reason why a lot of village people in Bhutan don't speak a word in English and, English isn't a national language (though in towns you can find many English speaking people) while in India Hinglish was already invented, and ads are commonly in English. In Bhutan English is quickly being promoted, and most private schools treat Dzongkha as a second language, and lessons are given in English, except for the Dzongkha period. *The long vacation is in winter because the winter is ferociously cold there, and the schools want children, not frozen popsicles. The vacation is as long as the winter, and the winter is usually December, January, February. Typos in English are quite common in Bhutan, as in some other countries in Asia. The Lattest Collection, announces a flashing shop. Menus are also a rich source of amusement; "Fried Rise with veg." as a restaurant's specials, or "Meat ducklings", or, if you're interested in cannibalism, "Fried children". So, if you're on a trip to Bhutan, look out for these funnies to engage you. Another classic that runs around town is the shop proclaiming Go d and Silver Smith, the 'l' of gold detached. A godsmith, by the way, is a maker of idols. After a few years of people laughing at him, the poor shop owner took away the l from silver and attached it to gold and hopefully you will find the amusing sign: Gold and Si ver Smith.